With just a few clicks you can support the Theatre every time you shop on Amazon – for free. We are now working with AmazonSmile, a charitable feature of the popular online retailer that provides an automatic way for you to contribute to the Theatre every time you shop. It takes less than five minutes to sign up for AmazonSmile. Once it’s done, 0.5% of every purchase you make on Amazon will go to the Theatre. On the next page, there will be a box to type the name of your chosen charitable organization. Type in “Fulton Theatre” and click search. Next to “Fulton Opera House Foundation” click the yellow select button. Now every time you shop on Amazon, you will be helping to enrich lives by connecting theatre, culture, and people! A search engine which donates 50% of its sponsored search revenue to the charities and schools designated by its users, GoodSearch is a unique online way to support the Fulton Theatre and our many programs and performances for the community. Powered by Yahoo!, you use GoodSearch exactly as you would any other search engine when surfing the internet, with each search you undertake generating about 1 cent for the Fulton. As a result, the more people who utilize GoodSearch as their search engine and designate our theatre as the intended funding recipient, the more money is raised for the Fulton. It’s important to note that the money GoodSearch donates comes from its advertisers—the participating users and the organizations don’t spend a dime! Visit Goodsearch.com by following this link: www.goodsearch.com, then come back to this window (a separate window will open for the GoodSearch site). Enter “Fulton Opera House Foundation” and click the “Verify” button. In the field next to “Search” button, enter the information you are searching for then click the “Search” button to start searching the Internet or scroll down the page to begin shopping at your favorite online stores! 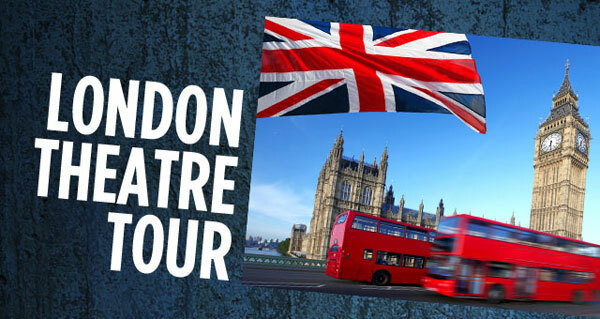 Love both travel and theatre? Have we got something for you! 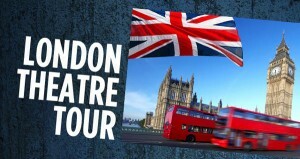 Join the Fulton’s Executive Artistic Producer, Marc Robin, and Maine State Music Theatre’s Artistic Director, Curt Dale Clark for 5 shows in London’s West End.